Martini, Frederic H.; Garrett, Lori K.
Benjamin-Cummings Publishing Company, Subs of Addi. Hardcover. 1405845929 Good+; CUSTOM EDITION FOR WEBER STATE UNIVERSITY; Includes 2 (opened) CD's; Hard Cover; Pearson Custom Publishing; 2006; 0 . Good. 2006. Pearson, 2013. This is an ex-library book and may have the usual library/used-book markings inside.This book has soft covers. In fair condition, suitable as a study copy. Pearson, 2013. This is an ex-library book and may have the usual library/used-book markings inside.This book has soft covers. In good all round condition. 2010-09-05. New. Ships with Tracking Number! INTERNATIONAL WORLDWIDE Shipping available. Buy with confidence, excellent customer service! Benjamin Cummings, 2005-02-14. 7. Hardcover. Used:Good. 2008-01-09. New. Ships with Tracking Number! INTERNATIONAL WORLDWIDE Shipping available. Buy with confidence, excellent customer service! Pearson Education, 2009. Light usage only, "used" sticker on rear, corners bumped, a nice copy, no cd, internet access codes intact. Hard Cover. Very Good/No Jacket. 2008-01-11. Good. Ships with Tracking Number! INTERNATIONAL WORLDWIDE Shipping available. May not contain Access Codes or Supplements. May be ex-library. Shipping & Handling by region. Buy with confidence, excellent customer service! 1995-06-13. Good. Ships with Tracking Number! INTERNATIONAL WORLDWIDE Shipping available. May not contain Access Codes or Supplements. May be ex-library. Shipping & Handling by region. Buy with confidence, excellent customer service! 1995-06-13. New. Ships with Tracking Number! INTERNATIONAL WORLDWIDE Shipping available. Buy with confidence, excellent customer service! 1989-01-01. Good. Ships with Tracking Number! INTERNATIONAL WORLDWIDE Shipping available. May not contain Access Codes or Supplements. May be ex-library. Shipping & Handling by region. Buy with confidence, excellent customer service! Prentice Hall College Div, 1998-07-01. 4th. Hardcover. Used:Good. 2005-11-28. Good. Ships with Tracking Number! INTERNATIONAL WORLDWIDE Shipping available. May not contain Access Codes or Supplements. May be ex-library. Shipping & Handling by region. Buy with confidence, excellent customer service! Pearson, 2011. This is an ex-library book and may have the usual library/used-book markings inside.This book has hardback covers. In good all round condition. No dust jacket. Prentice Hall, 1988-12-01. Hardcover. Used:Good. Prentice Hall- Gale, 2002. 5th. Paperback. Like New/Like New. 2008-01-09. Good. Ships with Tracking Number! INTERNATIONAL WORLDWIDE Shipping available. May not contain Access Codes or Supplements. May be ex-library. Shipping & Handling by region. Buy with confidence, excellent customer service! Benjamin Cummings. Hardcover. 0805372806 New Condition. . New. 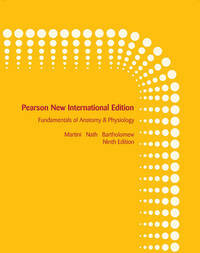 Pearson. Hardcover. 0131354876 New Condition. . New. Pearson, 2012. This is an ex-library book and may have the usual library/used-book markings inside.This book has hardback covers. In fair condition, suitable as a study copy. No dust jacket. CD is not included. Pearson, 2012. This is an ex-library book and may have the usual library/used-book markings inside.This book has hardback covers. In fair condition, suitable as a study copy. No dust jacket. CD is included. Pearson, 2012. This is an ex-library book and may have the usual library/used-book markings inside.This book has hardback covers. In good all round condition. No dust jacket. CD is not included. Pearson, 2012. This is an ex-library book and may have the usual library/used-book markings inside.This book has hardback covers. In poor condition, suitable as a reading copy. No dust jacket. CD is included.